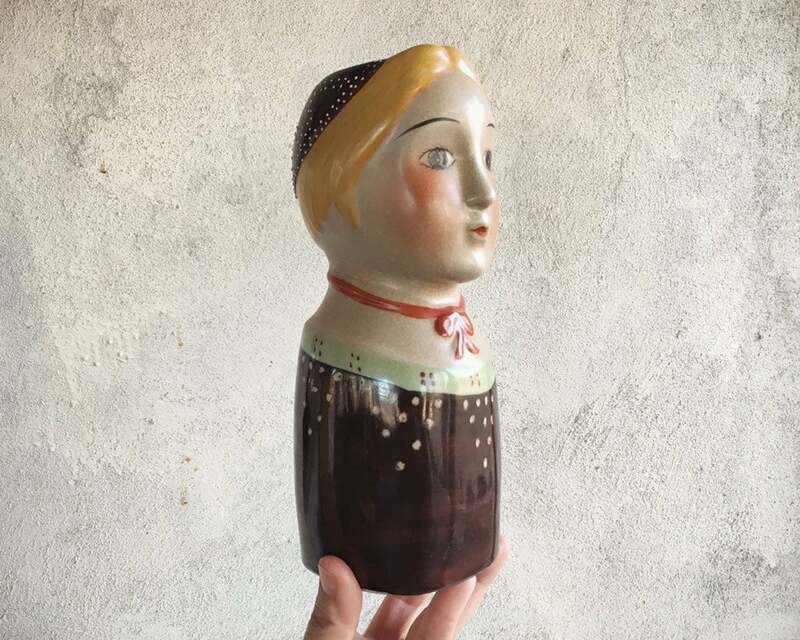 If you love lady head vases, and you love the style of Gemma Taccogna, you will fall for this girl! 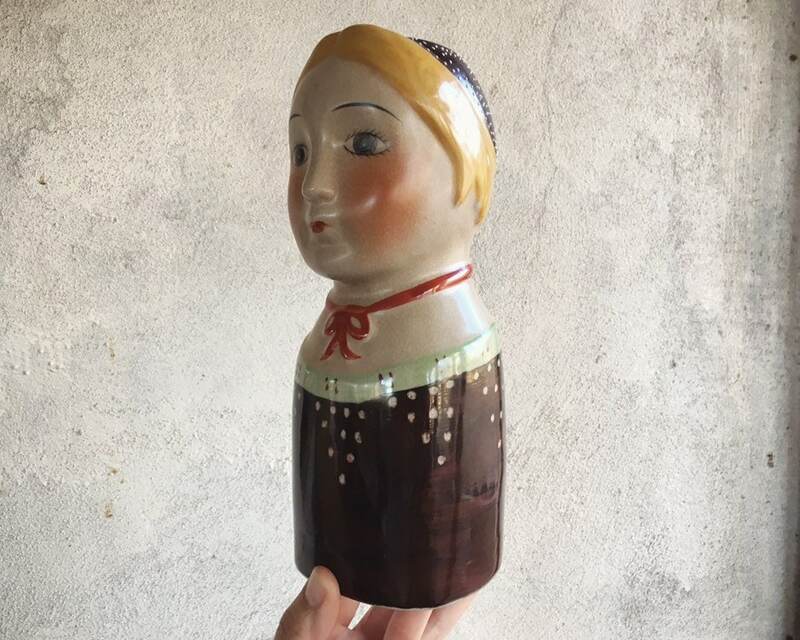 While the vase carries no signature, its design was surely influenced by the famed papier-mache artist. We see the same charming head scarf that reminds one of a Mennonite or Nordic/Scandinavian young girl, the rosy cheeks, and the ribbon tie choker around the neck. 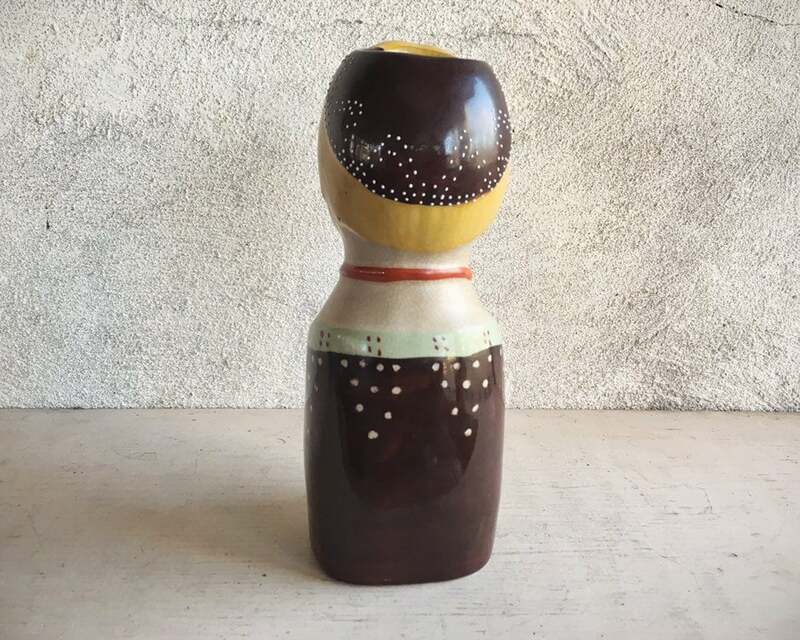 I could not determine the maker of this piece, but face pottery, whether in the form of sculpture or vases, was a theme in the midcentury, and we believe this piece to have been made as early as the 1960s, although given the pronounced crazing in the lighter areas, it could also be a 1980s to 1990s reproduction made to look older. 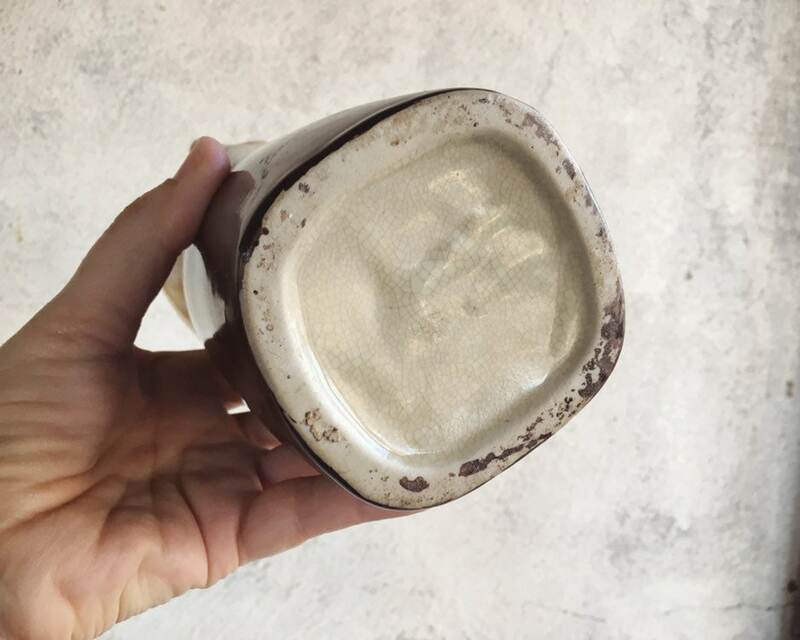 I have found about four or five of these particular vases or wall pockets--all have sold out. 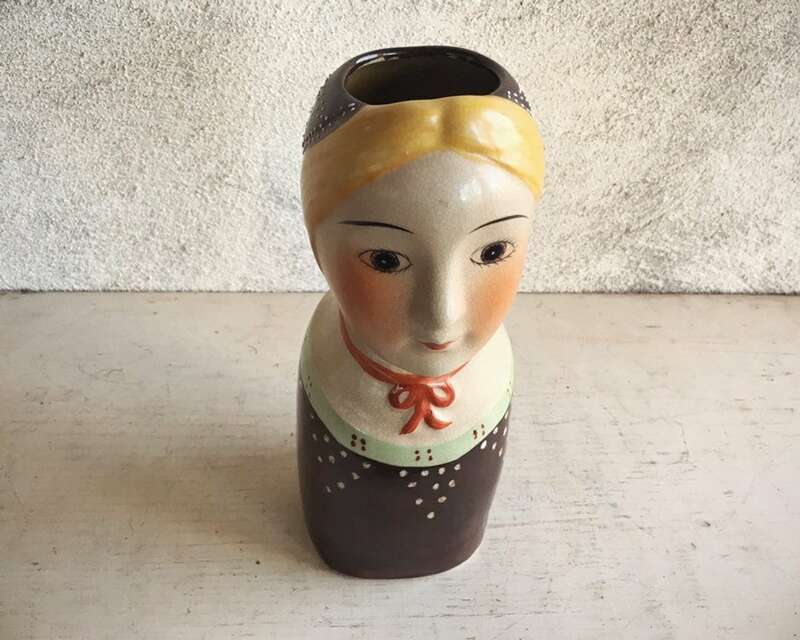 It is a--dare I say--RARE piece for anyone who collects ceramic head vases. The vase measures 9-1/4" tall and the base is 3-1/4" square. The opening of the vase at the top of the head is about 2" across. Weighs about 1.25 pounds unpacked. Has that pronounced crazing, which very well could be by design, but no chips nor cracks. 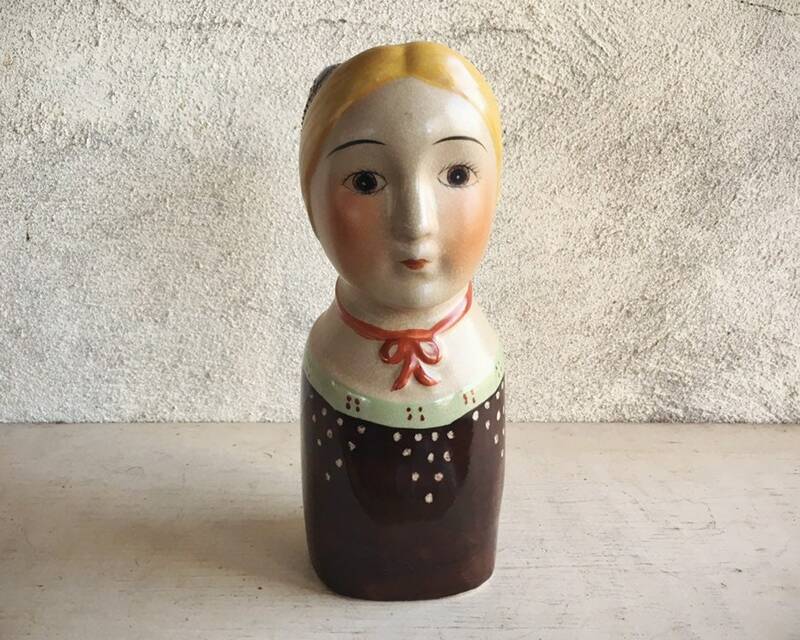 A very uncommon lady to enhance your head vase collection.